Taipei, Taiwan, October 9th, 2018 – GIGABYTE TECHNOLOGY Co. Ltd, a leading manufacturer of motherboards and graphics cards, has officially launched its Z390 AORUS Gaming motherboards, optimized for users to skyrocket the new 8-core Intel® Core™ i9-9900K processors to 5GHz+ across all cores via overclocking. With a 12 phase digital VRM design and robust heat dissipation, the latest iteration of AORUS Gaming motherboards offers exceptional power and temperature management for maximizing the performance and overclocking potential of these new processors. While the Z390 AORUS Gaming motherboards easily fulfill the criteria for a gaming motherboard, the flagship Z390 AORUS Master brings to the lineup highly sought-after features such as Triple M.2 Thermal Guard for its PCIe Gen3 x4 NVMe M.2 slots, superb audio configuration, and feature-rich I/O interface, rounding out a versatile package of excellent system performance, power management, heat dissipation, and audio quality for the ultimate user experience. All new 8-Core Intel® Core™ i9-9900K processors are built on 14nm technology and support LGA 1151 sockets. 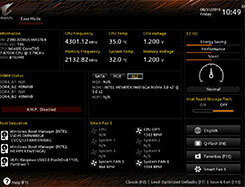 BIOS on GIGABYTE Z/H/B 300 series motherboards have already been updated for full compatibility with the new CPUs. To ensure the power demands for overclocking to 5GHz+ across all cores are accounted for, select GIGABYTE Z390 AORUS Motherboards utilize a 12 phase digital power design paired with a PowIRstage controller or DrMOS module with MOSFETS for balanced power management. Z390 AORUS MASTER adopts an all-digital IR power design and uses solid pin power connectors along with other high quality materials for stable power supply. Excess heat from high-speed operation or overclocking is also kept in check by the power design to prevent overheating from degrading processor performance. Fins-Array Technology makes its much anticipated return to select GIGABYTE Z390 AORUS motherboards with its highly acclaimed stacked fin design. With three times the surface area compared to traditional heatsinks, the stacked fins heatsink vastly ramps up heat dissipation efficacy and provides ideal cooling for the VRM while adding extra style points to the board’s aesthetics with its aluminum heatsinks. Direct Touch heatpipe speeds up heat transfer from the VRM to the heatsink, lowering temperatures significantly and improving heat dispersion by a massive 30%. The thermal pad on Z390 AORUS motherboards is also thickened to 1.5mm to improve the contact between the VRM and its heatsinks, allowing for superior heat transfer. GIGABYTE Z390 AORUS motherboards comes with a larger power supply area on the base of its 2x Copper PCBs design, which doubles the power and ground layers of the motherboards to make way for better and more successful overclocking. The backplate design on the Z390 AORUS Master fortifies the structural integrity of the PCB and also quickly disperses excess heat from the components on the backside of the PCB to mitigate overheating from system overloading. Stylish yet practical, the integrated I/O shield is easy to install and provides superior protection to rear panel features such as the USB 3.1 Gen2, network connectivity ports, audio jacks, and other expansion ports. Troubleshooting is also straightforward for users as the board’s power, restart, reset BIOS (Clear CMOS), and other buttons allows them to do so without breaking a sweat. GIGABYTE Z390 AORUS Gaming motherboards support the lighting brilliance of RGB Fusion Technology. While RGB Fusion Technology brings back the features that users enjoyed with previous generation motherboards, users will be able to enjoy a newer, improved version of this lighting technology and its support for digital LEDs and lighting strips. Taking user feedback into consideration, GIGABYTE has implemented new lighting patterns that glow from the back side of the PCB for a more understated and mellow look that exudes elegance. RGB Fusion App software provides users with a great deal of customizability, allowing them to control an assortment of lighting patterns on RGB ready motherboards, peripherals, and fan favorite products such as the AORUS RGB Memory Kit which provides users with two RGB memory modules and two more RGB infused modules. Users can indulge in the smoothest lighting synchronization effects with their personalized lighting configuration. Furthermore, the optimal memory installation status notifies users with a warning message and reminds them to change installation settings if they are installing two sets of memory while operating in single channel mode during memory installation. On the newest BIOS, all changes to the BIOS settings will be listed before the user saves any changes to the BIOS settings so users can confirm whether or not to proceed with the changes.